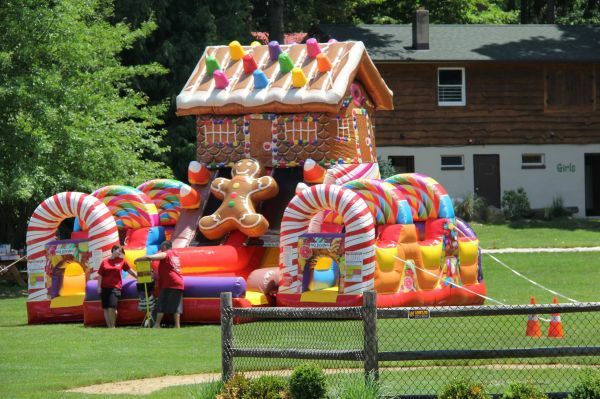 WHAT COULD BE BETTER THAN A CANDY THEMED OBSTACLE COURSE!!! They will be taken to a magical land with candy canes, a gingerbread house, and gumballs through which they can navigate. 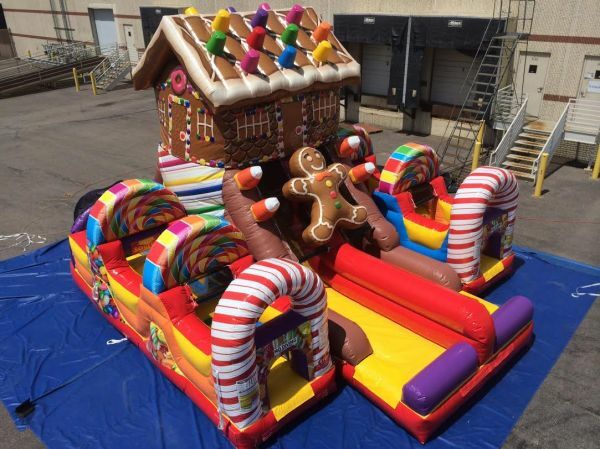 Explore your way through winding obstacles, climb to the top of the ginger bread house and slide your way out. Book Candyland for your next party!